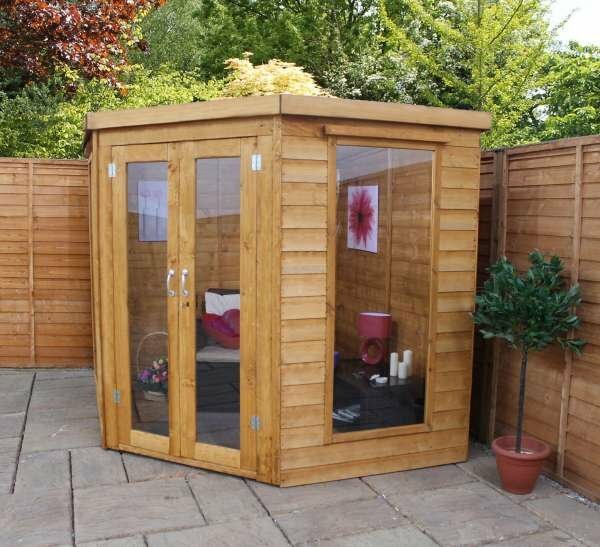 This affordable, durable and attractive summerhouse is one not to miss out on! 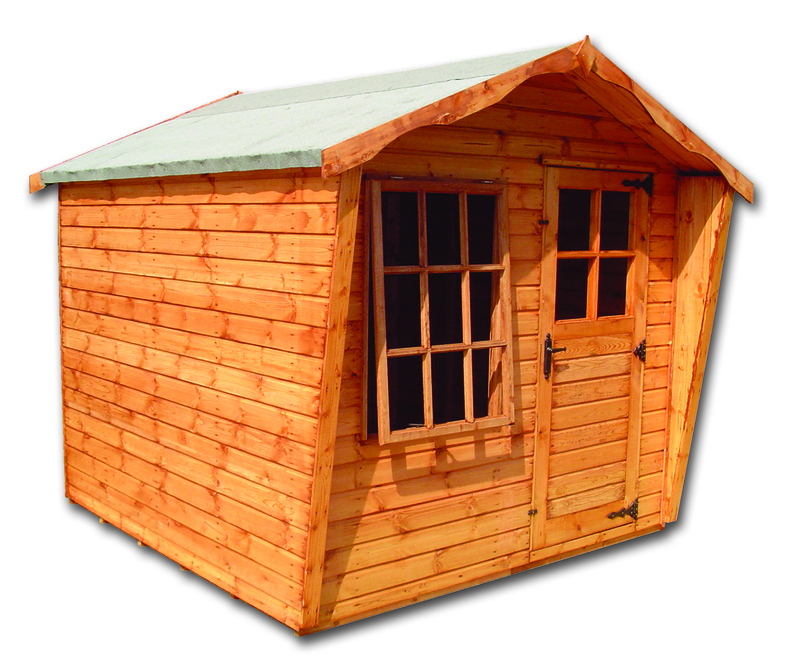 Constructed with the highest quality materials, it will only take one glance to realise how strong this Staffordshire Summerhouse really is. 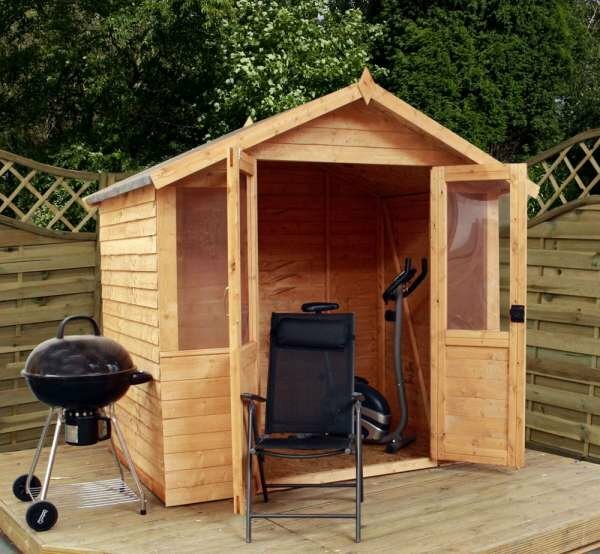 This affordable, durable and attractive summerhouse is one not to miss out on! Constructed with the highest quality materials, it will only take one glance to realise how strong this building is. 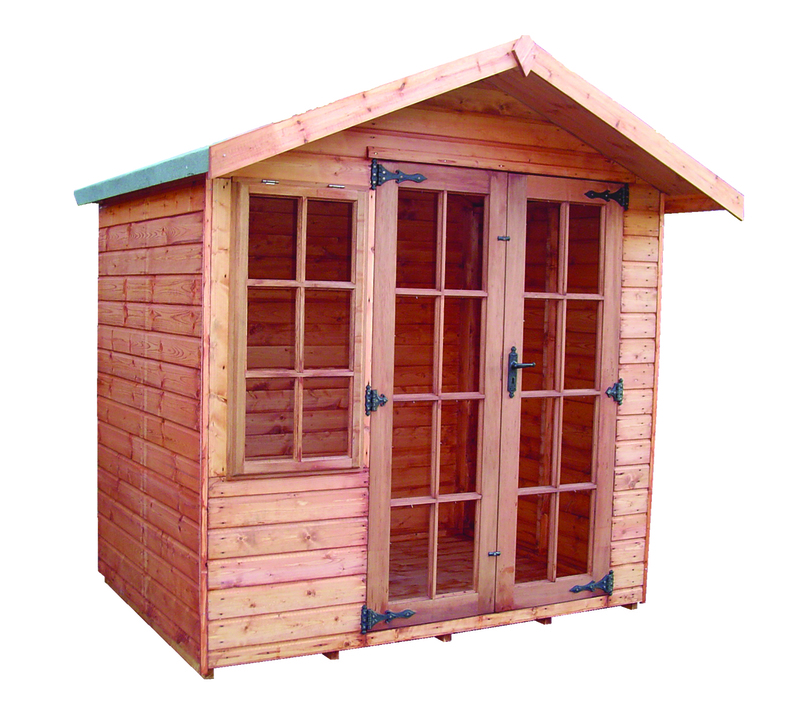 Available in different sizes, it can suit any garden space. The double doors are made from hardwood and benefit from beautiful and decorative hinges and handle. The fitted glass is toughened as standard. The door also comes with mortice lock and key, so you can have peace of mind about storing your possessions overnight. More options include side windows and an overhang of 300mm. 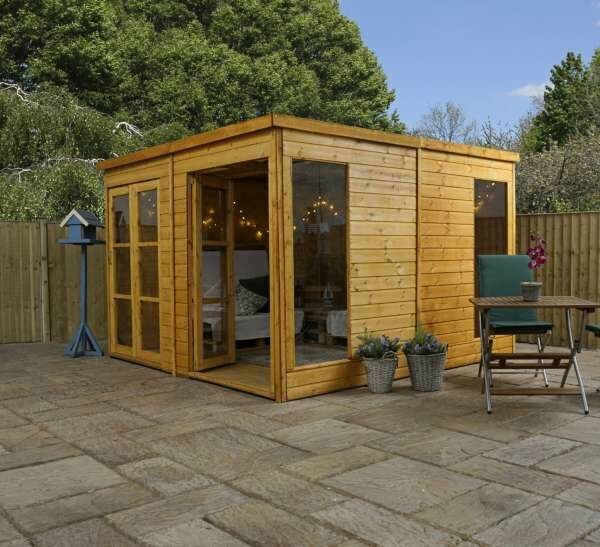 You have the opportunity to create a summerhouse that’s perfect for you, so you and your family can get years of pleasure from it. Available in: 8ft x 6ft (2.4m x 1.8m) | 8ft x 10ft (2.4m x 3m). building is. 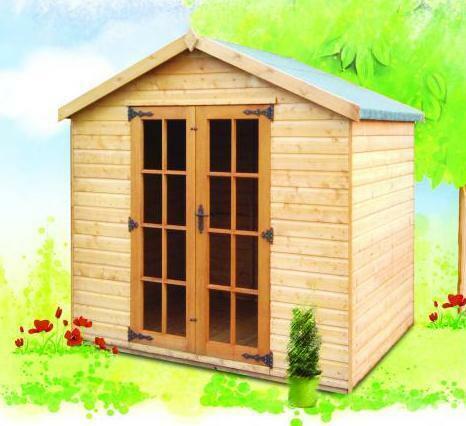 Available in different sizes, it can suit any garden space. The double doors are made from hardwood and benefit from beautiful and decorative hinges and handle. The fitted glass is toughened as standard. 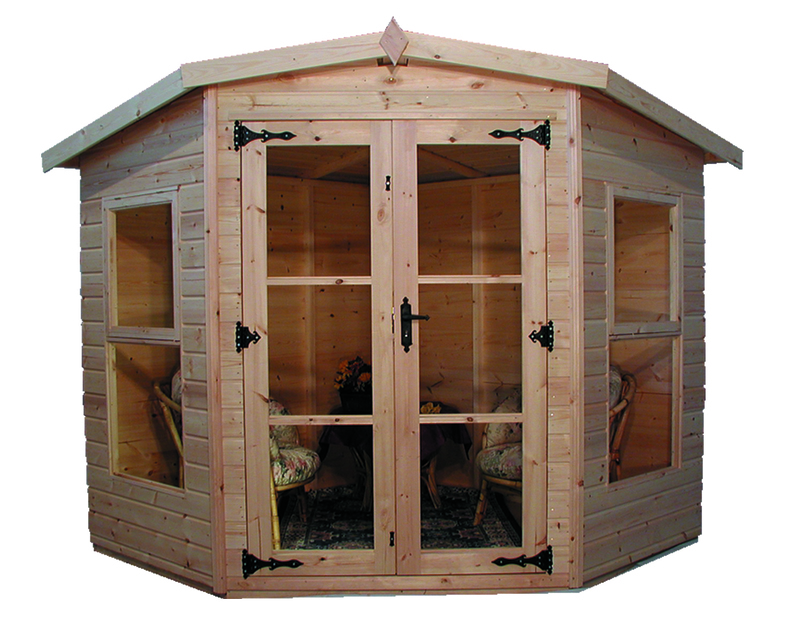 The door also comes with mortice lock and key, so you can have peace of mind about storing your possessions overnight. More options include side windows and an overhang of 300mm. 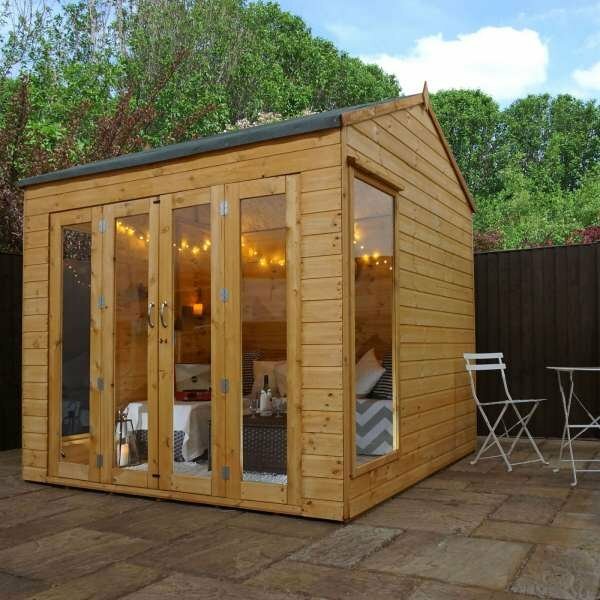 You have the opportunity to create a summerhouse that’s perfect for you, so you and your family can get years of pleasure from it. 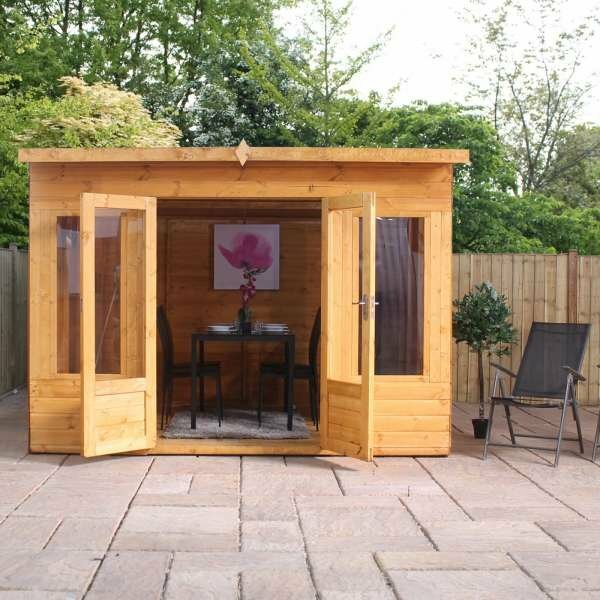 One of our budget Summerhouse is available in a variety of sizes from 8ft x 6ft up to 8ft x 10ft which are supplied with hardwood doors and toughened safety glass as standard.